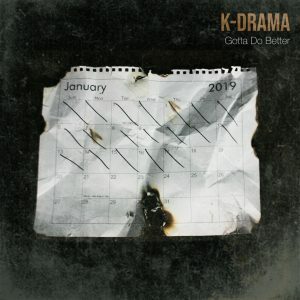 Today on The Morning Show, we debut “Gotta Do Better” from K-Drama. Our Inspirational Moment features Hart Ramsey and we look at the call for Virginia Governor Ralph Northam to resign. Check out music from Dale Anthony & Faith Out Loud, Israel & New Breed, Crowder, KB, Guvna B, Sensere, Laurin Talese, Avery*Sunshine, Da’ T.R.U.T.H., Samoht, Kevon Carter, Michael Jackson, Lisa Knowles-Smith, Gerald Scott, GEI, Kierra Sheard, Ledisi, Jor’dan Armstrong, Steven Malcolm, nobigdyl., Kevin Levar & One Sound, Jeremiah Hicks, Michael Dixon, Travis Malloy, Jonathan McReynolds, Isaiah Templeton, and more. 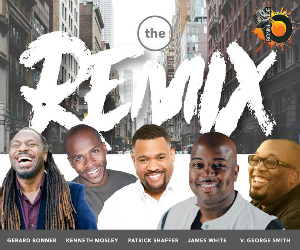 This entry was posted in Podcasts, The Morning Show and tagged Avery*Sunshine, Crowder, Da' T.R.U.T.H., Dale Anthony & Faith Out Loud, GEI, Gerald Scott, Gerard Bonner, Governor Ralph Northam, Guvna B, Hart Ramsey, Inspirational Moment, Isaiah Templeton, Israel & New Breed, Jeremiah Hicks, Jonathan McReynolds, Jor'Dan Armstrong, K-Drama, KB, Kevin LeVar & One Sound, Kevon Carter, Kierra Sheard, Laurin Talese, Ledisi, Lisa Knowles-Smith, Michael Dixon, Michael Jackson, nobigdyl, Samoht, Sensere, Steven Malcolm, The Morning Show, Travis Malloy. Bookmark the permalink. Trackbacks are closed, but you can post a comment.